Prepared to be in love! 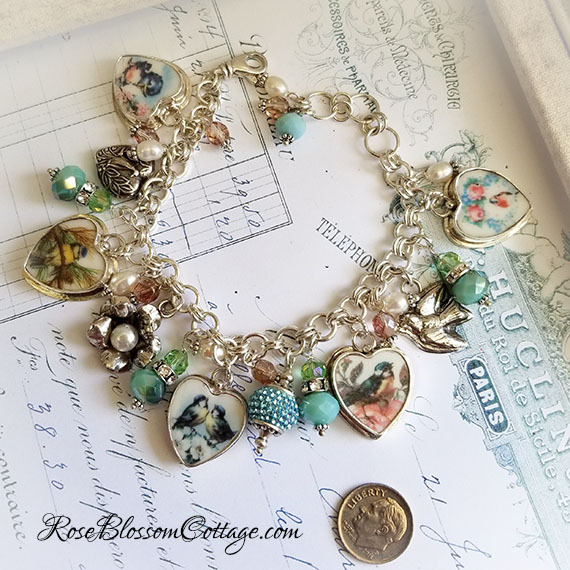 Lots of thought went into this Sterling charm bracelet. There may be only one of these made. We'll have to see. 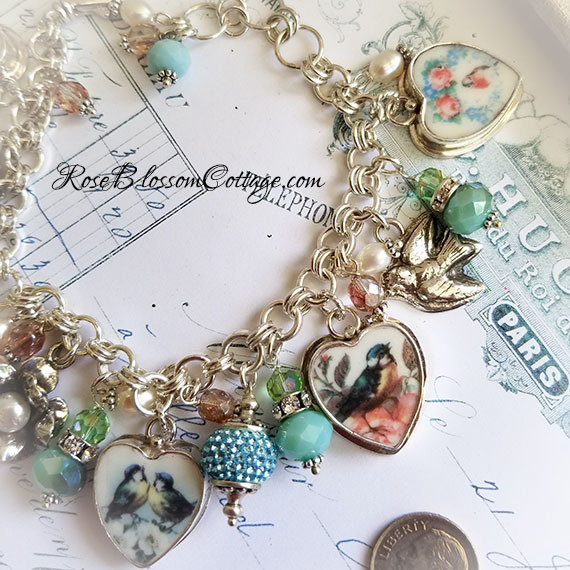 Starting with 5 Broken China Jewelry bird charms all custom set in Sterling. 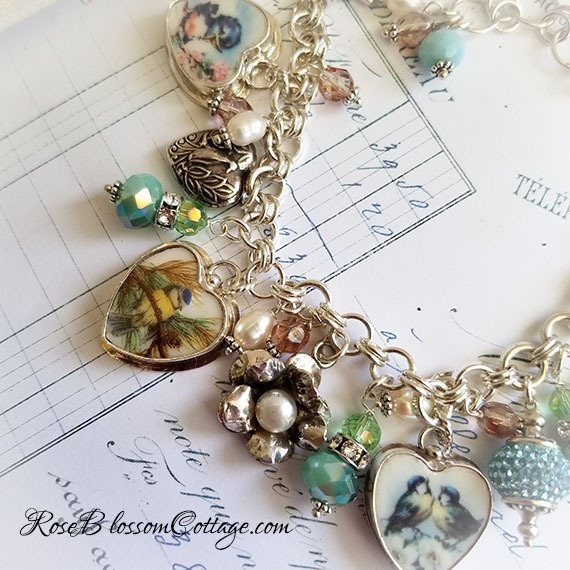 Add some Sterling flowers, a Sterling bird, a crystal Sterling finial bead, and loads of other pretties and you have a substantial tribute to free flying birds. Blues, Browns, Greens, with touches yellow and, of course, white. 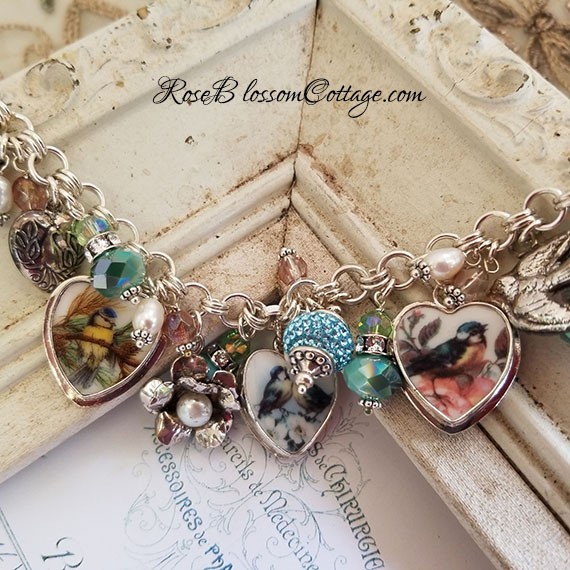 Freshwater pearls, Swarovski & Czech crystals, all on Sterling pinning. Bracelet is not lightweight. Would say about medium in weight. 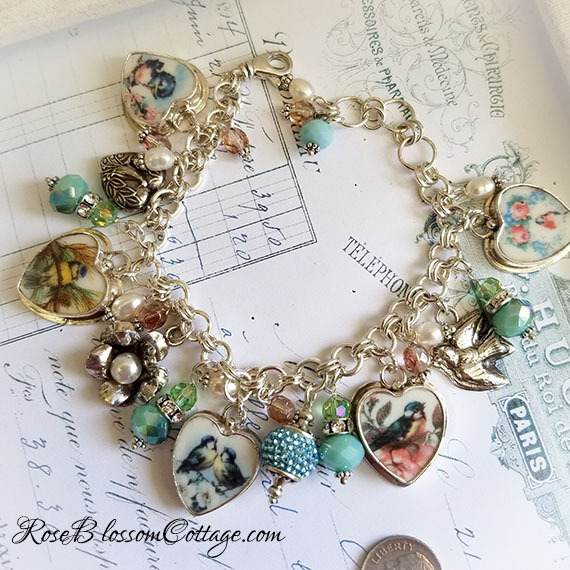 Everything including the base charm bracelet is Sterling. Sterling swivel clasp (makes it much easier to get on) and 3 adjustable rings. We can make this just about any size (let us know at checkout...if it is not extreme, there will be no additional charge). As it stands now it would fit 7 3/4" to 8 1/2".